Categories: Misc, Misc. DJ Gear. 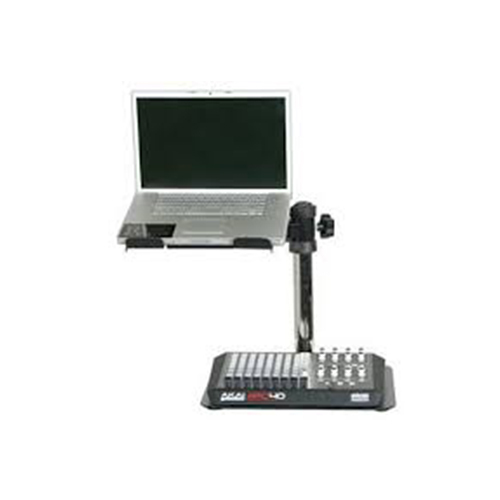 Puts your laptop where you need it for ergonomic AV/DJ work. 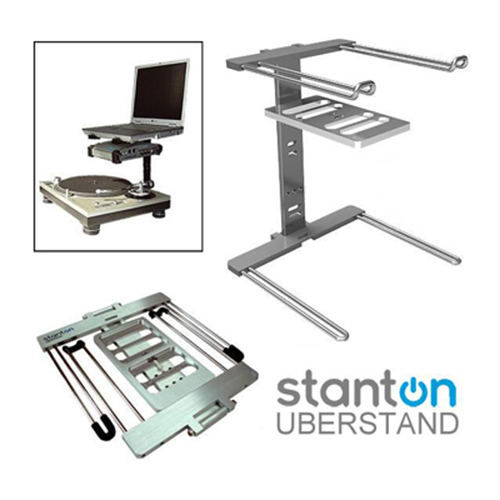 The Stanton UberStand is ideal for the AV/DJ Technician who need to incorporate a laptop or notebook computer into their set-up. 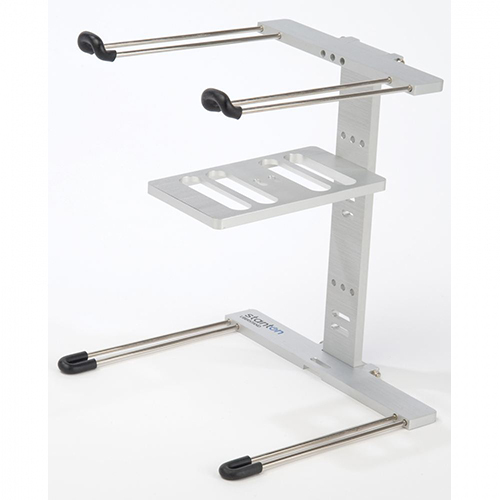 The UberStand features a secure top-shelf for a laptop and a smaller shelf underneath sized to hold an interface. 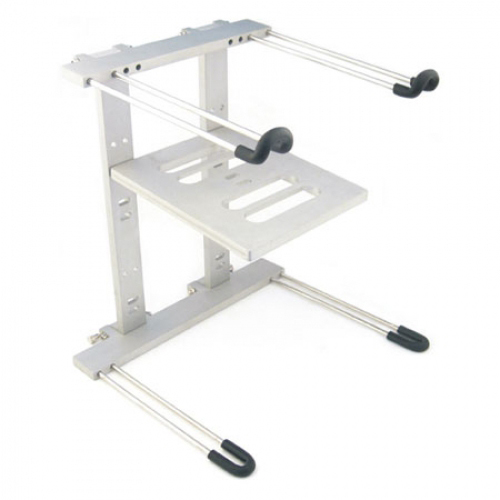 The UberStand base sits under a turntable or any flat surface and attached straps keep wires and laptop in place. It collapses easily and folds flat for storage. Made of aircraft grade aluminum and stainless steel. 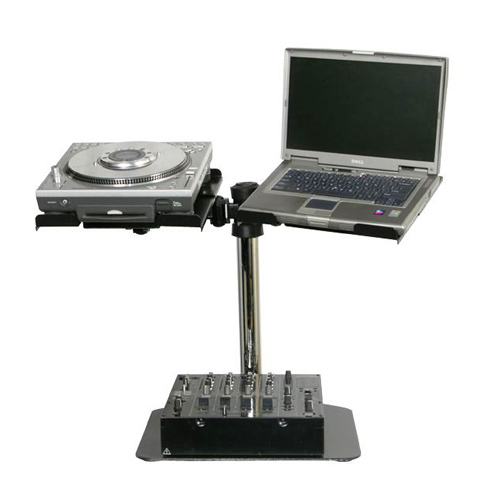 The UberStand is an essential accessory for the computer based AV/DJ.